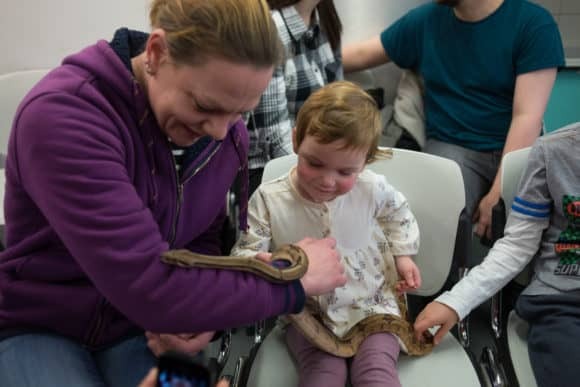 From Saturday 1st April through to Sunday 16th April, a host of animal handling sessions are being held, allowing visitors to learn about some of the world’s most amazing creatures, where they are from, what they eat, and how they feel. 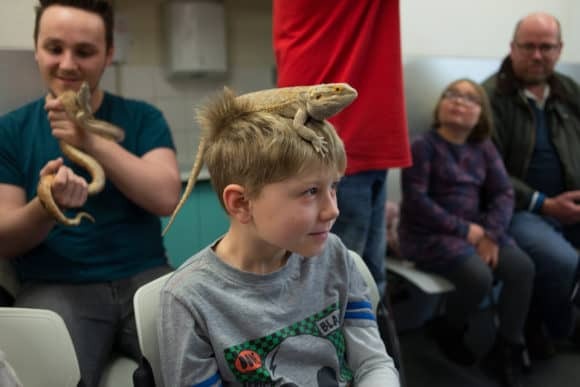 Animates Amazing Animals will be setting up home within the Centre, with a host of friendly exotic invertebrates and reptiles to meet, and handle. Guests will include Pog the Australian Bearded Dragon, whose natural habitat is the Australian deserts, as well as tarantulas, snakes, lizards, snails and land hermit crabs. They will be ready to welcome visitors on Saturday 1st and Sunday 2nd April, and throughout the week of Saturday 8th to Friday 14th April. Meanwhile, from Monday 3rd to Friday 7th April, returning on Saturday 15th and Sunday 16th April, is Animal Man’s Mini Zoo! They will bring a range of creatures on different days, including a seven foot boa constrictor and Bosc Monitor lizard. A fluffy rabbit, squeaky guinea pig, hairy tarantula, mice, friendly rat, cheeky duck, chirpy chicken, bugs and insects will also be setting up residence and meeting visitors. Advance booking is essential and pre-payment is required at the time of booking to secure desired time slot – please call 01382 228800 between 9am and 5pm (Monday – Friday), or pop into the Centre which is open from 10am until 5pm, seven days a week.